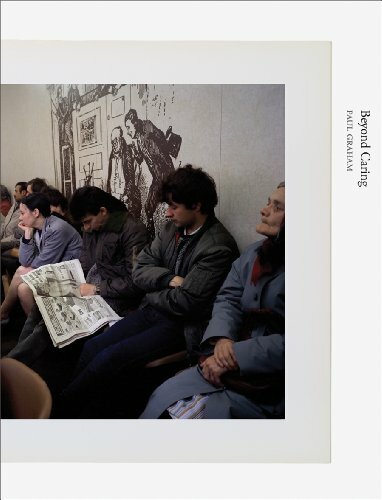 Paul Graham's Beyond Caring published in 1986 is now considered one of the key works from Britain's wave of 'New Color' photography that was gaining momentum in the 1980s. While commissioned to present his view of 'Britain in 1984,' Graham turned his attention towards the waiting rooms, queues and poor conditions of overburdened Social Security and Unemployment offices across the United Kingdom. Photographing surreptitiously, his camera is both witness and protagonist within a bureaucratic system that speaks to the humiliation and indignity aimed towards the most vulnerable end of society. Books on Books #9 presents every page spread of Graham's controversial book along with a contemporary essay by writer and curator David Chandler.